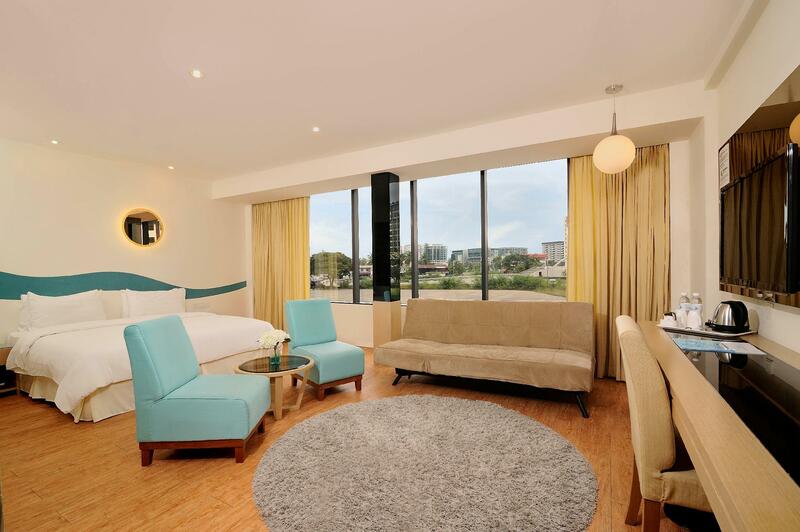 "Good ambiance n suitable for couple"
Have a question for Oceania Hotel? "It was pleasure to stay in such a cozy hotel where you can find peaceful during the whole stay." 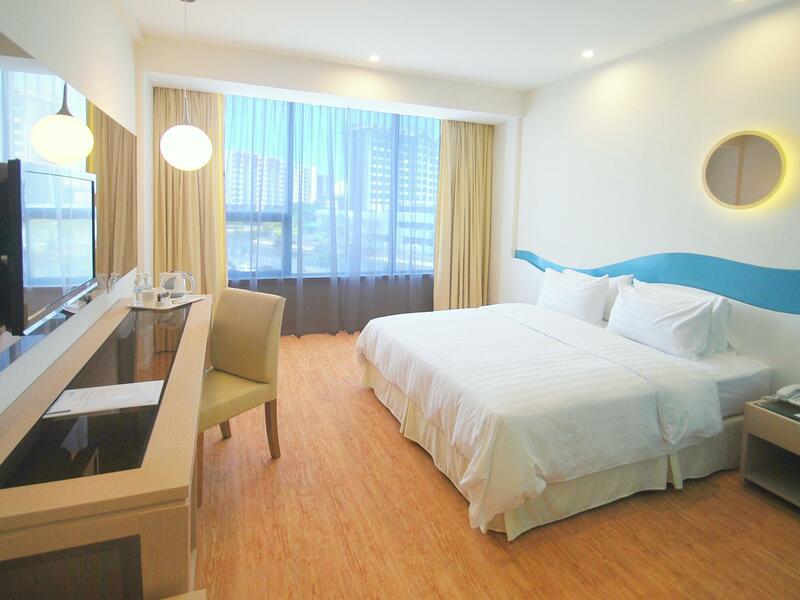 "Room is spacious enough to accomodate us, wifi is super fast, clean room and bath, and very helpful receptionists." 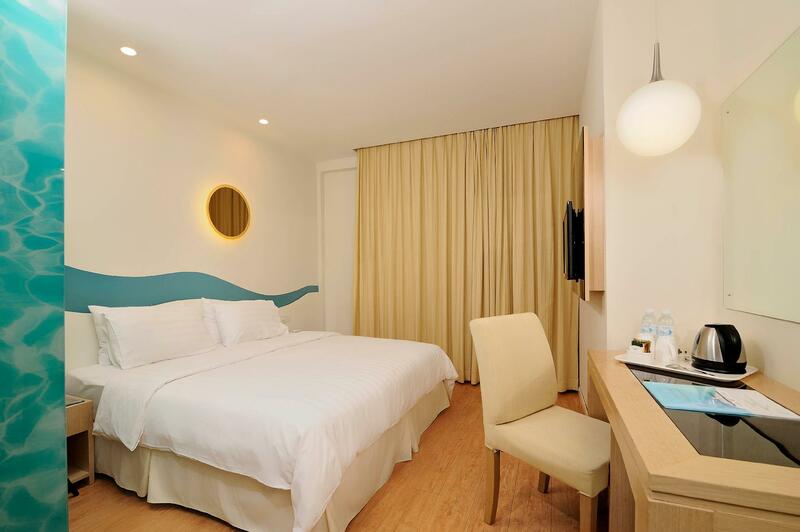 "Fast WiFi, clean and comfortable room, nice local eateries n..."
Conveniently located in Kota Kinabalu, Oceania Hotel is a great base from which to explore this vibrant city. The city center is merely 2.5 Km away and the airport can be reached within 15 minutes. 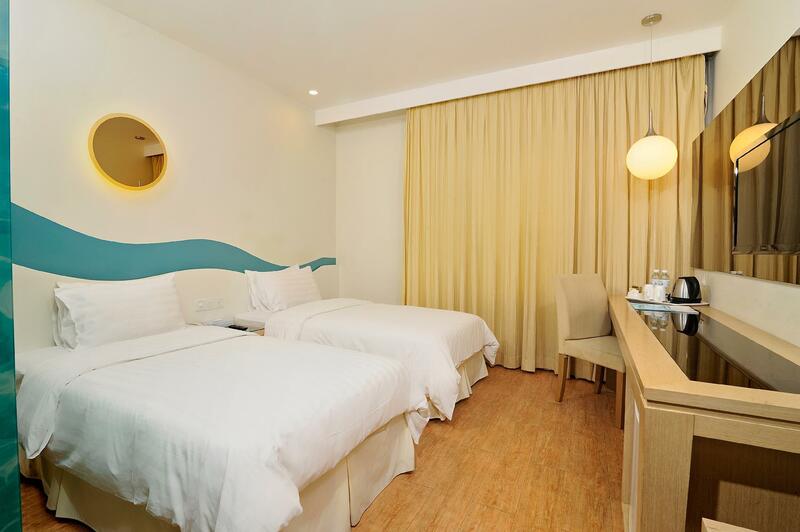 For sightseeing options and local attractions, one need not look far as the hotel enjoys close proximity to KK Times Square, Consulate of Indonesia, Sabah State Mosque (Masjid Negeri Sabah). 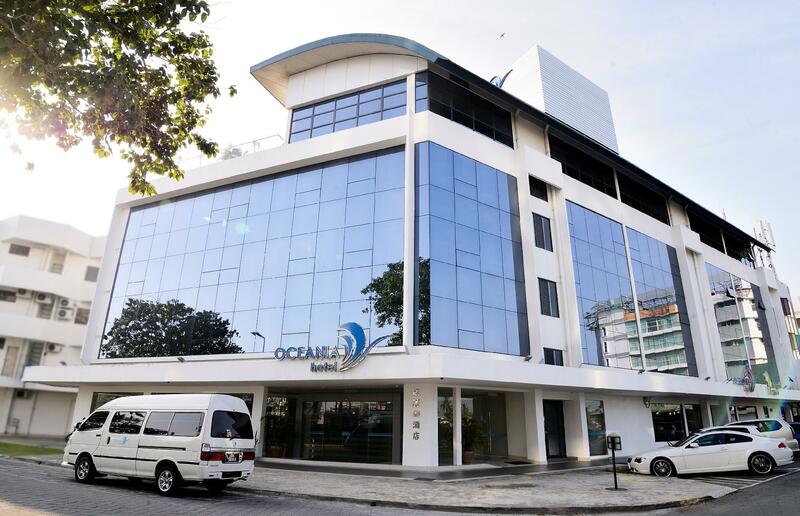 At Oceania Hotel, the excellent service and superior facilities make for an unforgettable stay. Guests of the hotel can enjoy on-site features like free Wi-Fi in all rooms, 24-hour front desk, facilities for disabled guests, express check-in/check-out, luggage storage. Guests can choose from 70 rooms, all of which exude an atmosphere of total peace and harmony. The complete list of recreational facilities is available at the hotel, including garden. 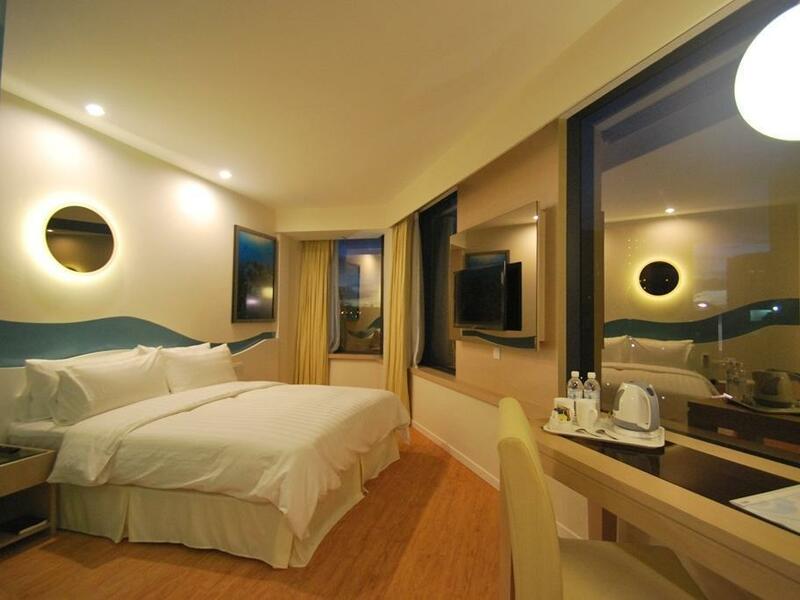 Oceania Hotel is a smart choice for travelers to Kota Kinabalu, offering a relaxed and hassle-free stay every time. Dear guest, thank you for staying with us and we hope you enjoyed your stay. We do have limited parking space reserved for guests and they are on a first come first serve basis. We hope to see you again soon in the near future. Best regards. Pros: Near to food court and riverfront. Friendly front desk staff. Rooms are a good size. Cons: Room 304 - air conditioning was too noisy and did not cool the room even when we put the fan maximum. Room smelled strongly of cigarette smoke. 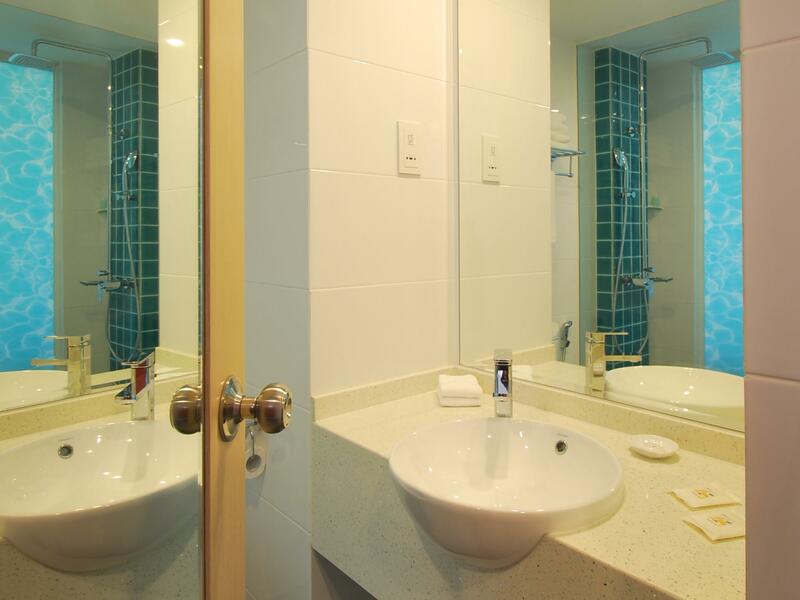 The bathroom fixtures are poorly maintained and moldy. We informed the staff about the air-conditioning on check-out, and they said they would look into it. Luckily we only stayed for one night, or we would have asked for a different room. Dear Lisamarie, we are sorry to hear you did not fully enjoy your stay. We are already looking into the issues you mentioned and will take necessary actions where needed. Thank you for staying at Oceania Hotel and we sincerely hope to see you again in the future. Best regards. Just a short ride from the airport, easy check-in procedures. We did't try the breakfast because there are plenty of options nearby, hawker markers etc. 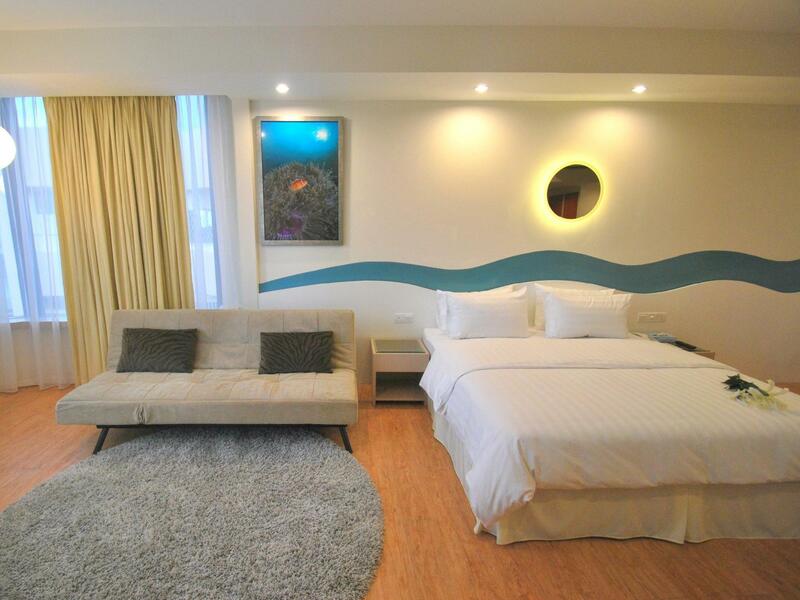 Rooms clean with basic amenities. Had to clean the coffee cup because it was obviously used before. The term "river view" is a bit stretched, although we were able to see the river somewhere behind the large car parking. Nice and friendly staff. Dear Christian, thank you for staying with us and the thorough feedback. We will continue to improve ourselves in order to provide the best service to our guests. We hope you enjoyed your stay and look forward to seeing you once again in the near future. Best regards! Dear Melissa, thank you for choosing to stay with us and for your kind review. At Oceania Hotel we value each guest's feedback and hope to bring each individual an unique and perfect experience. We certainly hope you enjoyed your stay and once again congratulations to you both on the new journey together as husband and wife. Best regards. Dear Nur, thank you for staying with us and we hope you had a pleasant stay. We look forward to seeing you again in the near future. Best regards. Clean room. Friendly staff. Parking space is limited. Dear Nurul, thank you for staying with us, we look forward to seeing you again. Best regards. Overall the hotel is clean with friendly and helpful staff. Hot water with adequate pressure is available with quite a stable internet connectivity. Quiet surrounding without much traffic noise. One downside is that parking isn't provided by the hotel. City council parking coupons need to be purchased and placed accordingly. A great place with clean rooms. This hotel does not provide parking space for their guest. So anyone with a vehicle needs to take note of that because the parking will be Free of charge from 5pm-8am the rest you need to buy a coupon and display it in your car. Overall it is a good place to spend a night if you traveling without a vehicle because it close to the shops and mall and city.